As was often the case in the 1980s, the Rover Vitesse 3.5 V8 was produced in order to meet the minimum production quantities set out by motorsport’s governing body so that it could be entered into competition. In this instance, touring car racing. 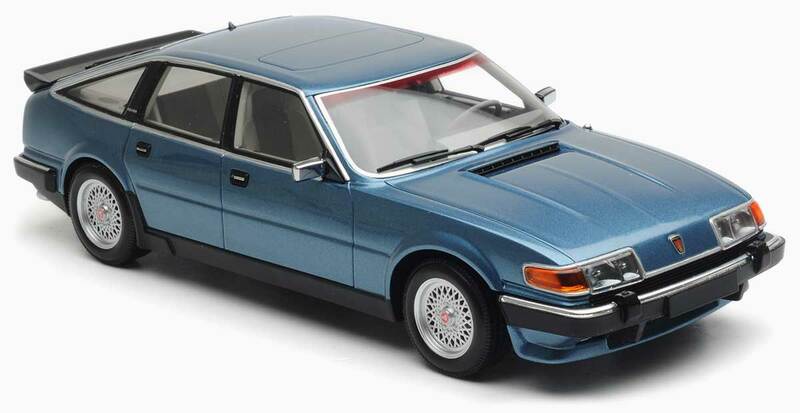 Rover essentially created the Vitesse by placing a 3,528 cc aluminium V8 powerplant into its SD1, which had been in production since 1976. This now gave it 190 bhp, as opposed to the 150 bhp on offer from the standard model. This improvement was in part enabled by the incorporation of Lucas L electronic fuel injection, a higher compression ratio, and reprofiled inlet ports to improve the gas flow. The main visual difference between the Vitesse and its lesser siblings was the presence of a hefty rear spoiler. It also featured multi-spoke alloy wheels, shod with Pirelli’s P6 performance tyre. Under the bodywork, the springs were stiffened, while the transmission needed to be significantly uprated to cope with the extra power now on offer; this achieved through stronger gearbox bearings. The front brakes were also upgraded to the ventilated disc variety with four pot calipers, although it was felt that old-fashioned drum brakes were still adequate for the job at the rear. At just under £15,000 the Vitesse was considered to offer an incredible level of performance for the price, coming in at significantly less than what was being asked for a Jaguar XJ6 or Mercedes 380 SE. It was felt that it wasn’t quite a match for its rivals in terms of comfort or refinement, however. After a wait of some three years, Minichamps has at last released its 1:18 replica of the Rover Vitesse 3.5 V8 in metallic blue and red. Silver will follow shortly.